Flags on all Canadian federal buildings in both Canada and the U.S. will be flown at half-mast tomorrow to pay tribute to former U.S. president George H.W. Bush, says Prime Minister Justin Trudeau. "President George H.W. Bush was a statesman, patriot and true friend to Canada," tweeted Trudeau on Tuesday morning. "On Wednesday, as Americans mourn his passing, flags on federal buildings in Canada and at Canadian offices in the United States will be flown at half-mast. May he rest in peace." 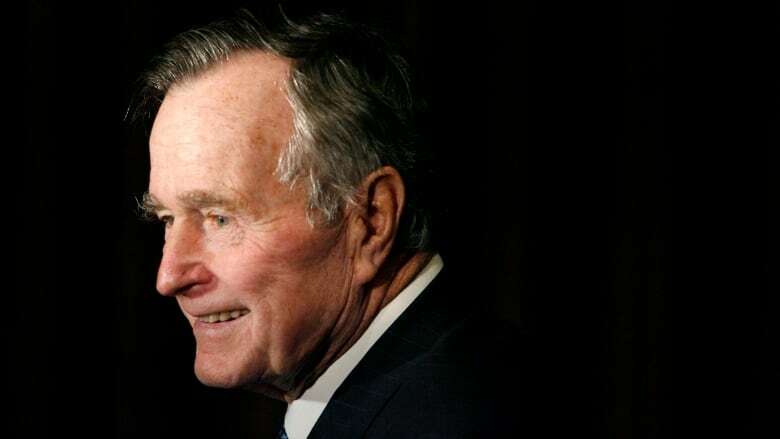 Bush, 94, the 41st president of the United States, died late Friday at his home in Houston. Canada also lowered the flag to mark the state funerals of former presidents Ronald Reagan in 2004 and Gerald Ford in 2006. Liberal cabinet minister Scott Brison and ambassador David MacNaughton will join former prime minister Brian Mulroney in representing Canada at Wednesday's state funeral. Mulroney is a close friend of Bush and is scheduled to deliver one of several eulogies. Federal officials say Trudeau and Mulroney spoke by phone about the eulogy over the weekend. President Donald Trump has declared Wednesday a national day of mourning in the U.S., part of a week-long state funeral that began Monday with a public visitation in the Capitol rotunda in Washington. Bush will be buried Thursday at his presidential library in Texas, near his wife Barbara, who died in April, and their daughter Robin, who died of leukemia at age 3.